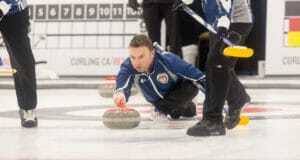 British Columbia captured back-to-back men’s titles while Alberta’s Morgan Muise won her first Travelers Curling Club Championship in three tries on Saturday at the Miramichi Curling Club in Miramichi, New Brunswick. 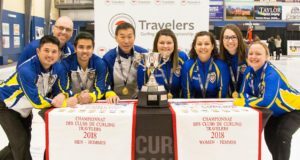 Nova Scotia has never won a Travelers Curling Club Championship but on Saturday the province has a chance to capture two titles. 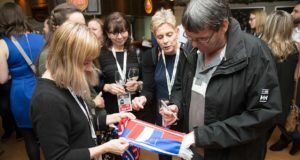 The field has been narrowed to eight teams at the 2018 Travelers Curling Club Championship. 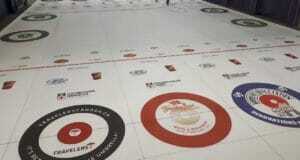 Teams from Ontario and Nova Scotia make up half of the field remaining in play at the Miramichi Curling Club. Playoffs are set at the 2018 Travelers Curling Club Championship with British Columbia leading the way on the men’s side and with a perfect 6-0 round robin record. 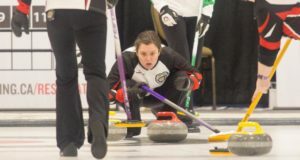 Nova Scotia faced a crucial test at the Travelers Curling Club Championship in the women’s division and the team from Lower Sackville lived up to the challenge. 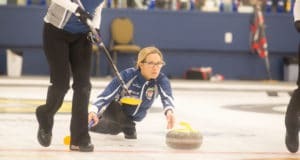 Sarah Stroeder did not expect to be cruising through the Travelers Curling Club Championship with a perfect 3-0 record at this point of the week. 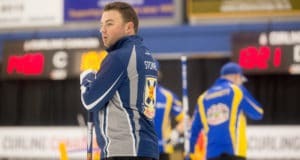 The Yellowknife skip downed Alberta’s Morgan Muise in an extra end to hand the 2016 Travelers Championship silver medalists their first loss of the event. 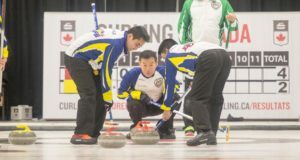 The loss knocked the Calgary Curling Club team to 3-1 in the standings. Travelers Club Championship gets underway Monday in Miramichi, N.B. A pair of national curling championships will be on the line when the 2018 Travelers Curling Club Championship gets underway Monday at the Miramichi Curling Club in Miramichi, N.B.